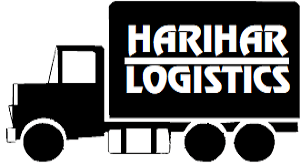 Harihar Logistics movers & packers is giving tempo on hire in delhi for all kind of transportation. we provide both kind of vehicle closed containers and open body tempo as well as per your requirement. we have a huge range of all type of tempos 14ft, 17ft, 19ft and bigger closed containers as well. You can book tata ace on rent per km in delhi with Harihar packers and movers. now days tata ace is the best vehicle for local house shifting in delhi of 1 bhk. you can get professional labours as well along with tempo services in delhi because your not just booking tempo but you are in contact with packers and movers company in delhi. Harihar logistics gives you choice to move your stuff with chota hathi on rent in delhi. we are cheapest chota hathi transport in delhi for shifting your household goods such as Refrigerator, washing machine, Doube beds, Sofa set and all kind of furniture. Harihar packers and movers in one of the leading tempo service providers in delhi with more than 20 Tata ace chota hathi and mini trucks. we have all type of tempo for shifting luggage in delhi at your service . with cheapest rates and time bound delivery makes us best option for our clients to choose tempo services providers in delhi.